I know, I know, back-to-school stuff already??!! The summer is flying by, and even though we have a little more than a month before my kids are back in school (right after Labor Day), I know it’s going to come fast. We are trying to stuff in everything we can, and working on whittling down our summer bucket list. Too many things, not enough time! 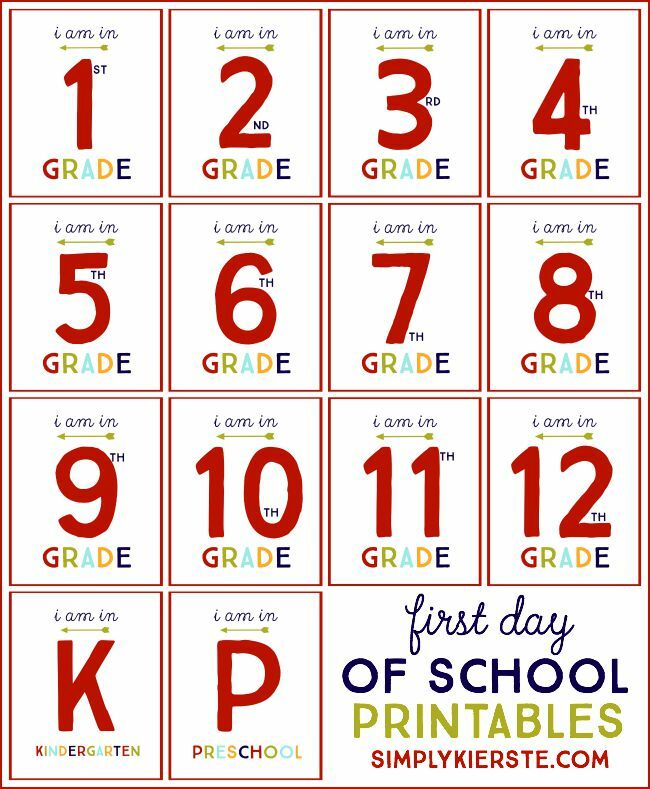 I’m also in my get-everything-organized-before-school-starts mode, and making these cute first day of school printables was on my list. I know some of you go back to school in August, so I thought I’d share them now! Just click on the links below, and print onto white cardstock. If you want to save them from year-to-year, you can laminate them and file them away for the next one of your kiddos who goes into that grade! 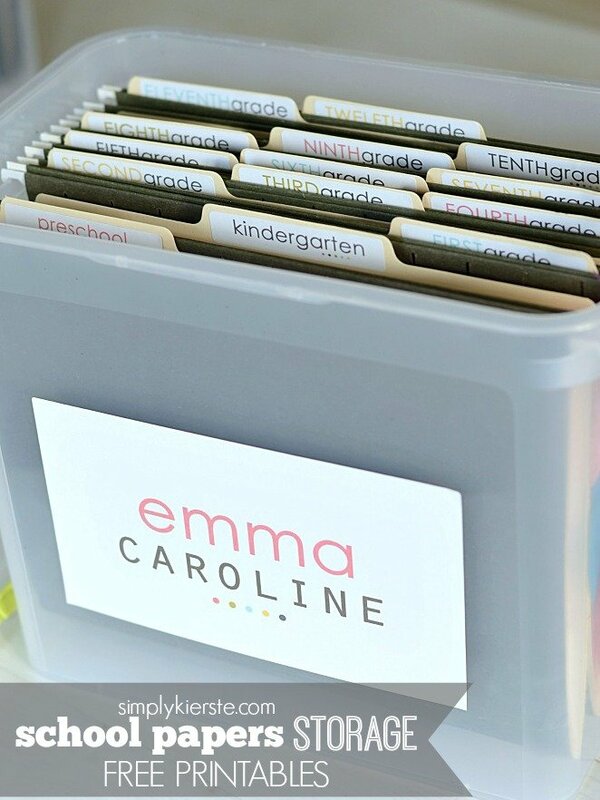 If you’re interested in more back-to-school organization, check out my School Papers Storage method…plus free printables! Thanks for these fun back to school digis! My grandchildren went back to school today already! Hello Kierste! I love all of your fun designs! Your creativity never ceases to amaze me. I just had one quick question for you, if you have the time. 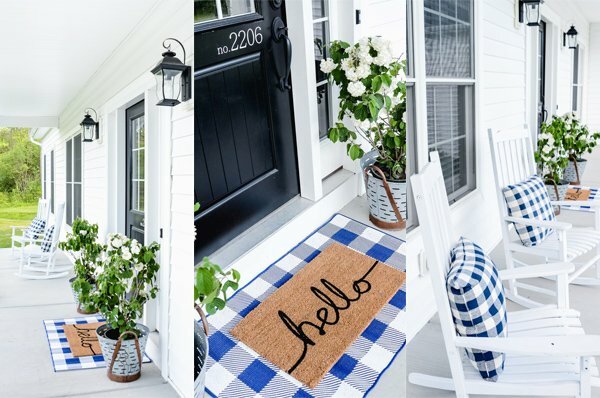 What type of software do you use to create all of your fun printables (like these and your chore charts, etc.) I would love to try to create a chore chart for each of my children, but my computer’s software just isn’t good enough or easy enough to use. Thank you so much for your consideration! (Please don’t feel obligated to reply. I know you must be incredibly busy!!!) I just thought I’d ask, just in case you did happen to have a minute – or in case you might have already explained this in another post. Thanks so, so much! You are the BEST, Kierste! Thank you! Thank you! Thank you! :o) I appreciate all of the time and thought that you put in to answering my question! Once again, you’re the best! I hope that everything is going beautifully with your new house! Blessings to you and your sweet family! BTW, I loved the back to school photos of your kids! ADORABLE!!!! I’m so thankful for people like you who help all of the rest of us look like we have it all together! Thank you for sharing your talent.